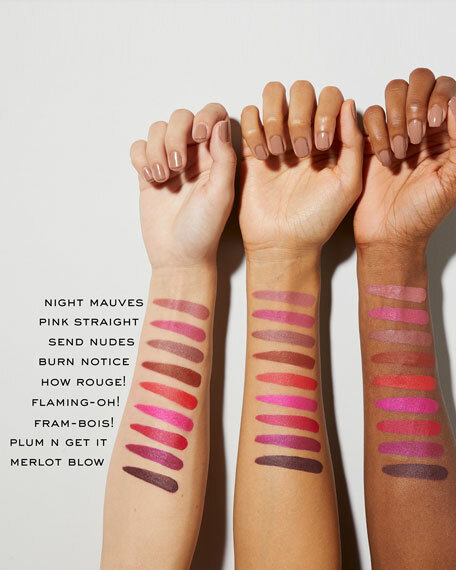 Creamy, 16-hour longwear lip crayon that has the look, feel and wear of a liquid lipstick in range of bold, covetable shades. Rewrite the (lipstick) rules: Le Marc Liquid Lip Crayon is everything you love about a liquid lipstick in a creamy crayon. This creamy crayon melts into lips with a lightweight liquid sensation, providing powerful one-swipe color with bold impact. A dose of innovative "ghost pearl" gives the matte look a dimensional sheen for a never-before-seen finish. With the perfect amount of playtime, you get instant color that lasts for 16 luxurious hours of longwear. 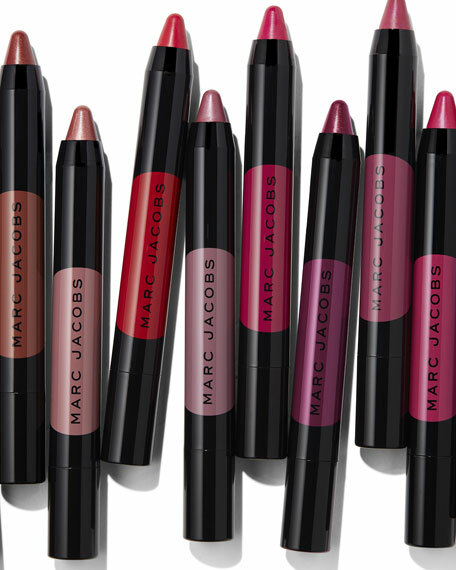 The bold, high-pigment shades feel creamy and comfortable and won't dry or settle into lines. The crayon offers total control for effortless application. It's easier than ever to shape and fill your lips. Have it both ways: now you never need to choose between a traditional lipstick or a liquid again with this new lip innovation. Each shade has a precise dose of innovative "ghost pearl" in a complementary or contrast tint to give lips added dimension. The subtly shimmering effect becomes more visible at certain angles or lighting to give lips a modern, never-before-seen finish. Snap the cap shut to keep your liquid lip crayon ultra creamy.